I met these adorable kids through my son's school, and photographed them during one of my fall mini-session days at Ridley Creek State Park. These two siblings are only one year apart so they are very close. 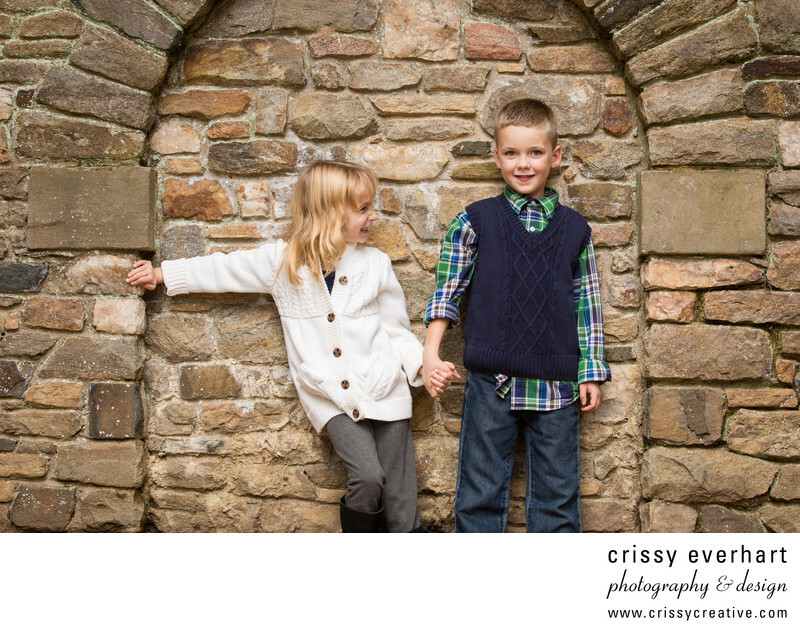 They lean on the stone wall at the Mansion gardens, little sister looks at big brother with a playful grin and he is nicely posed and smiling, but with a slightly unkept shirt - I love it! These two were absolute dolls to photograph. I love images that show off the personalities of the kids, and this one does that for me!